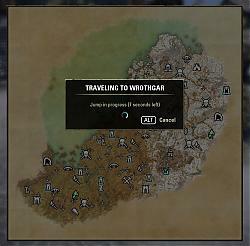 This simple and lightweight addon makes traveling to other zones easy as never before. Instead of having to select a player that you want to travel to like in similar addons it takes a different approach and you just need to right click on the zone in the location tab of the map screen. In the background it will scan your group, friend list and guild rosters for players that you can jump to and then attempts to travel to the target location via them. The list of players is sorted by source, champion points and level, meaning it will look for the highest level group member, then friend and finally guild member to travel to. It also automatically detects errors and tries to jump to a different player, or wait for new targets when there are none left. Without arguments the command will teleport you to your group leader while you are in a group and not the leader yourself, or to your current zone otherwise. If you start typing anything as an argument, it will autocomplete to zone names or players that are available as jump targets. It will also accept partial names and complete them internally to the first item in the auto complete list. - fixed /tp without arguments not working in delves and dungeons. Is there a way you can make it so that if no one is available in the desired zone it will TP you to someones home in that zone? I think there's an addon that lets you travel to anyone's home not just their primary as long as you have perms? Nice addon. Would it be possible when right-clicking on a specific shrine it would send you there, instead of zooming out? 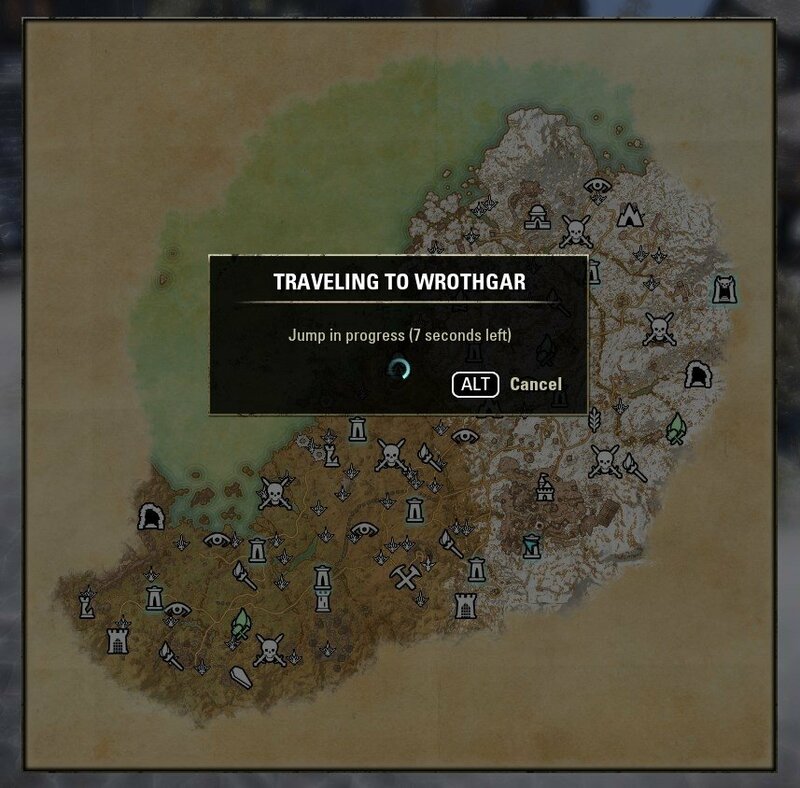 How about an optioinal toggle to prioritize travelling to the zone's big city? Last edited by mmsock : 12/13/18 at 02:44 PM. I noticed that a similar addon can port to delves and "inner maps" like the Brass Fortress, Halls of Regulations. Missing the command line abilities with the other one. Any chance that you would also consider people in Brass Fortress as The Clockwork City? Requesting feature to disable (certain) players from being targeted by the teleports. At the very least those on 'ignored' list. Right now some random dude from trading guild with 'vv' in his id is overriding my /tp vv commands and it makes the game literally unplayable. I'm sorry to hear that your game has become unplayable due to this. I will add something so that people from the ignore list are ignored as targets. Until then you could try to use "/tp va", "/tp rd" or "/tp nf" instead. They should all bring up Vvardenfell as the first result too. First of all, very nice addon. Thank you for the work! Is there anyway to not teleport to people houses? I want wayshrines in the zone, not player houses. The addon doesn't do that, but sometimes the game is slow to update the information where a guild member or friend is and in that case it can happen that you end up somewhere else (e.g. a house or a different zone). How often does this happen to you? I very rarely get ported to unintended places (~ 1 out of 1000 teleports). Last edited by sirinsidiator : 10/18/18 at 03:46 AM. Hey, thx for the addone. This way i could fast see if it even is possible for me to go there, without having to right click Dashaan first, i often play at late hours, and not that many players are online, and if there is no player at the location i want to go, i then just want to go to any Way shrine, so i can manually go to the location i wanted. Does this addon still work? If so, is there a manual? There is. It's called "Addon Info" and it should tell you everything you need to know. Last edited by sirinsidiator : 06/19/18 at 05:39 AM. The new version should fix the problem with the autocompletion showing up when using the chat history. Some other addons may interfere, so please let me know if it doesn't work as expected.